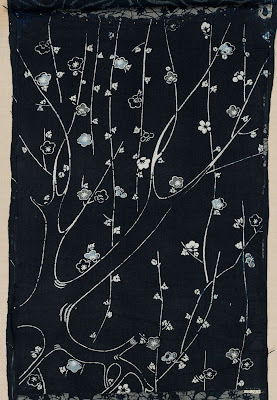 Branches that appear marbleized and foliate veins stylized into slightly wavy stripes: I can't get enough of the pattern within pattern here. 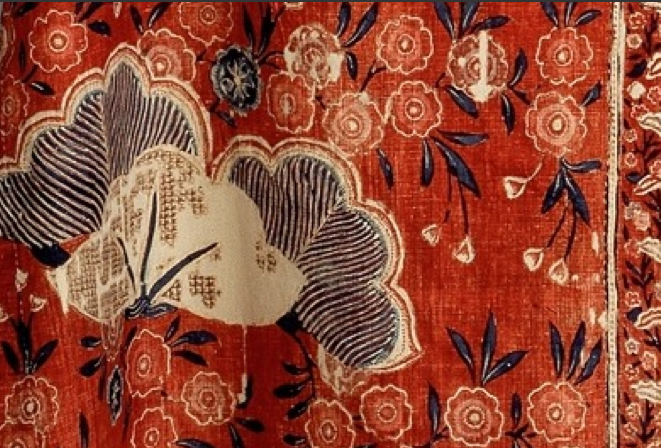 The fabric is an Indian (Coromandel Coast) painted and dyed cotton -- another example of chintz done with a red ground to appeal to the Dutch market. 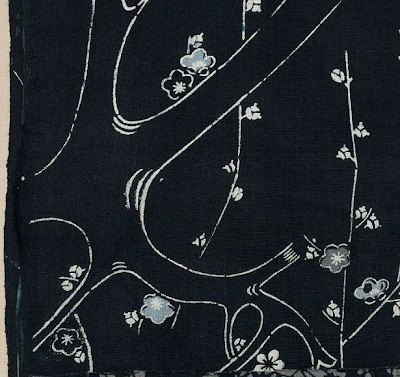 And maybe it's just me, but the flattened leaf-like forms and smaller blossoms feel Japanese-inspired. See the full view over at The Met. 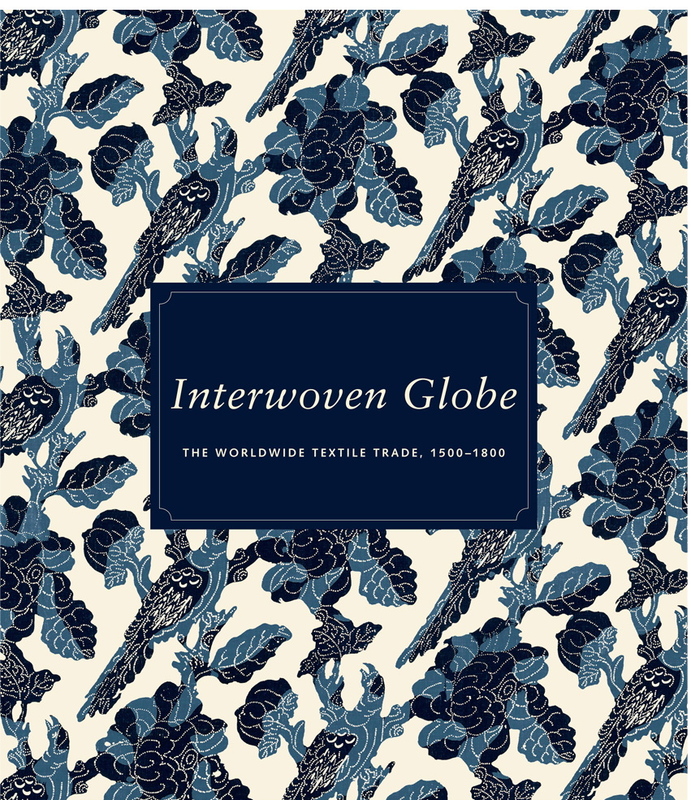 According to the museum's new catalogue accompanying Interwoven Globe, the term banyan was initially used in the West to describe a practicing Hindu but morphed into the word for loose, Indian- and Asian-inspired long-sleeved men's morning robes in vogue in France, England and other parts of Europe. Think 18th century Robshaw. 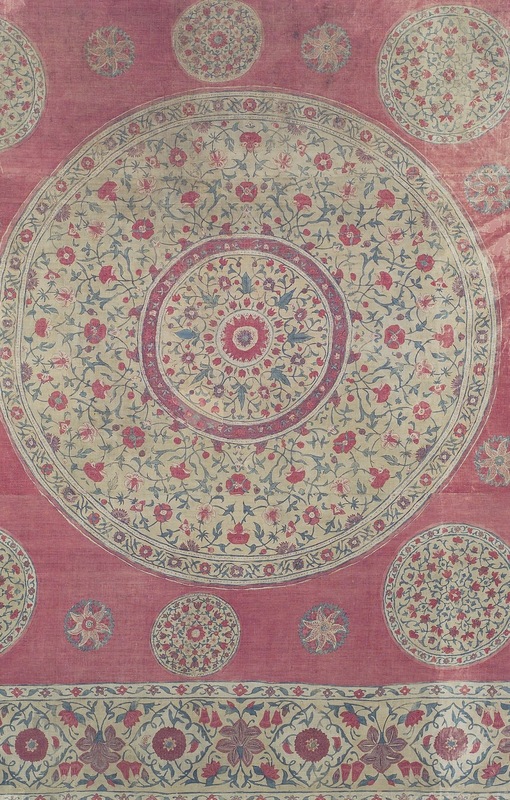 For a little background on Indian chintz, click here and here. 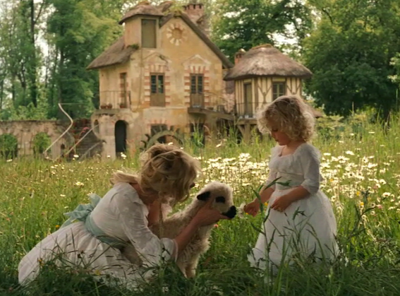 For some, the "shoes and pastries" scene is among the most memorable in Sofia Coppola's Marie Antoinette. That one stays with me, too, but as I mentioned a few weeks ago, the director's poetic take on the last French queen's informal private gardens at Petit Trianon really made an impression. 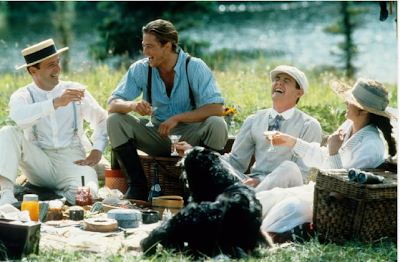 Painting with broad strokes, in the garden scenes Coppola evokes a dream-like escape. For those curious about the real-life royal's specific interest in plants and flowers, there are books; the latest being Ēlisabeth de Feydeau's From Marie-Antoinette's Gareden: An Eighteenth-Century Horticultural Album. The second part of the title explains what distinguishes this book from previous tomes. 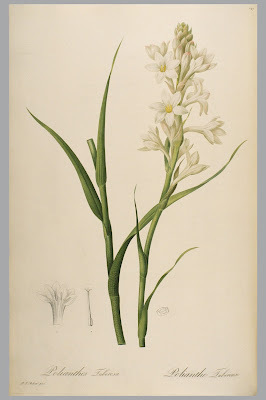 Designed entirely without modern photography, de Feydeau's book gathers together period illustrations (many are jaw-droppingly-beautiful watercolors by Pierre Joseph Redouté) of the specimens the queen favored along with original garden plans by architect Richard Mique, landscapes and portraits, and a few excerpts from Marie Antoinette's own letters. So the end result is part herbarium and part personal scrapbook. A journey back in time. But the author, a perfume specialist and historian, does offer contemporary commentary that I think provides context. 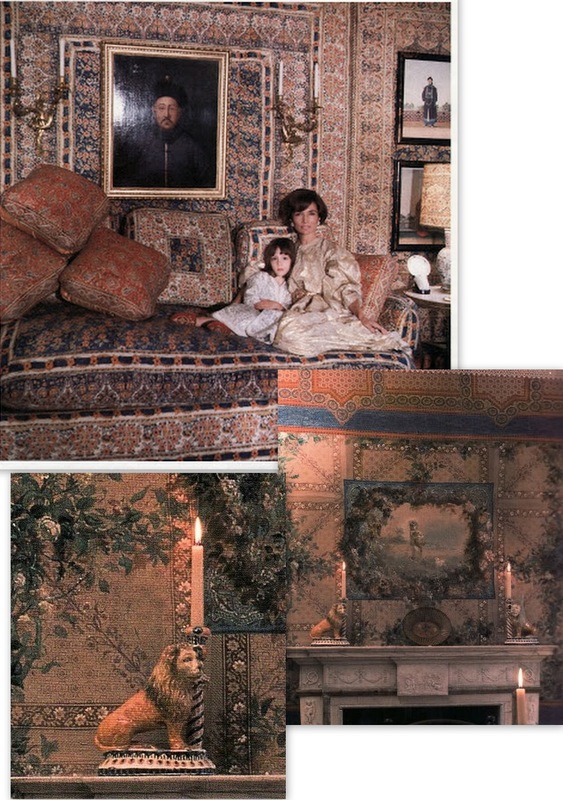 Writing about Marie Antoinette's genuine passion for nature and all things rustic, de Feydeau is quick to point out that life at Petit Trianon was often faux country: cows named Brunette and Blanchette carefully groomed before the queen milked them, trees imported at great expense from around the globe, and water diverted from the river Marly to create a "natural" pond. Some of these imported trees included the Virginia tulip variety. 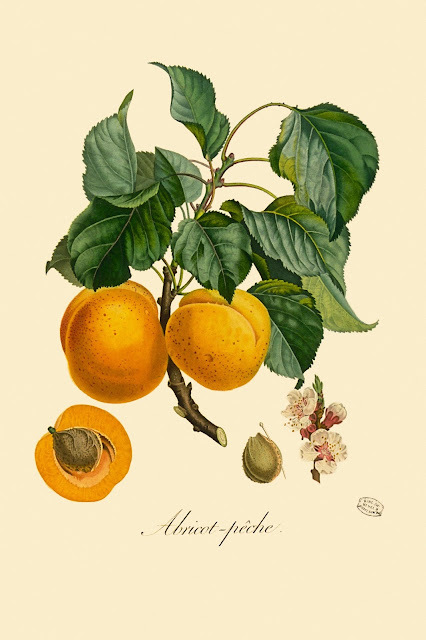 I was intrigued to learn that Marie Antoinette was drawn to several species associated with the American South: magnolia grandiflora, honeysuckle, and camellia. And those gauzy white dresses -- you know, like the casual one she daringly wore for a sitting with court painter Vigée Le Brun -- were actually inspired by Creole fashion; women in the French colonies were partial to lightweight white dresses, sans overly restrictive corsets, accessorized with broad silk sashes. The book is filled with interesting tidbits like that. Flowers are the starting point and from there we learn something about what was happening at the time with textiles, fashion, perfume, and even medicine and science. 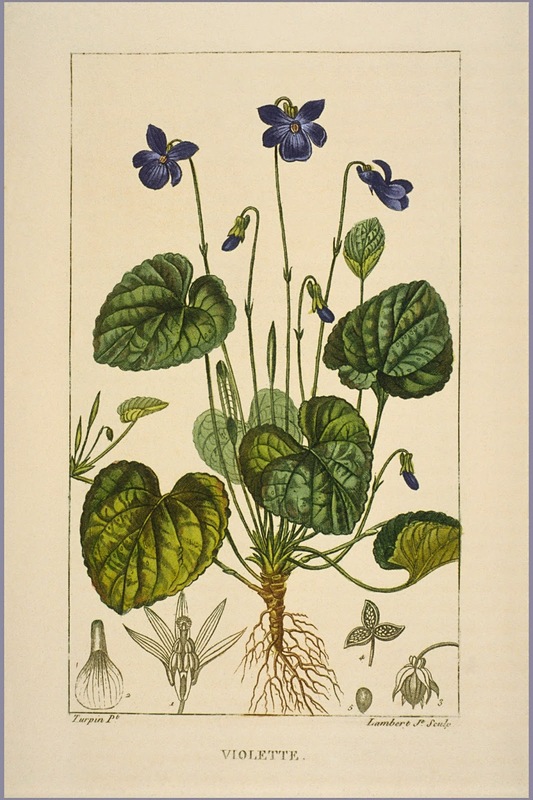 One of the most enjoyable ways to use the album is to thumb through the index, land on a favorite flower or tree, then go directly to the corresponding lavishly illustrated entry. 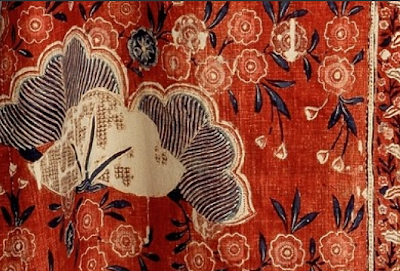 Looking up the poppy, for example, I discovered that Marie Antoinette's bedroom walls were covered with the blossom, the flower was sprinkled throughout the surrounding garden, and a decoction of white poppy seeds was commonly used to lighten the skin. Flipping over to the fig trees, I learned that it was fashionable in the 18th century to plant them in wooden tubs. 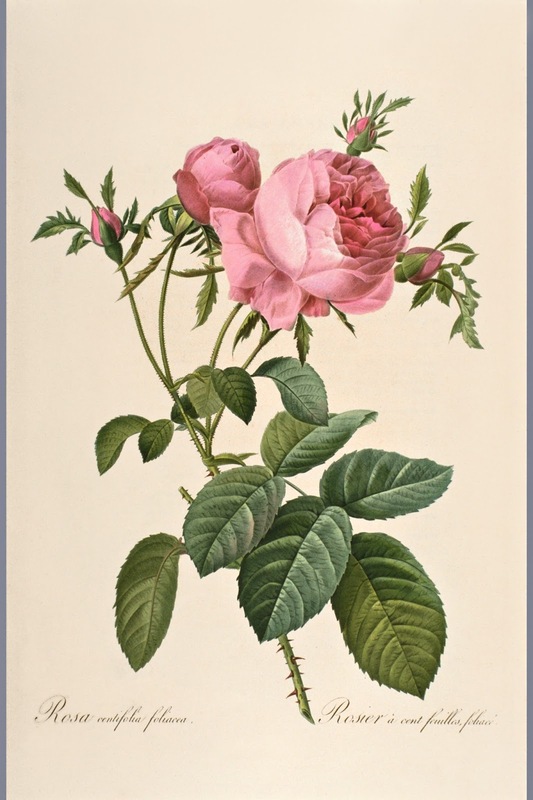 Whether you're obsessed with roses, Chinese asters or hornbeams, you'll likely find something of interest. Obviously students of Marie Antoinette will want to explore the album when it hits book stores the first week of September, but it's also relevant to anyone who simply appreciates garden history. 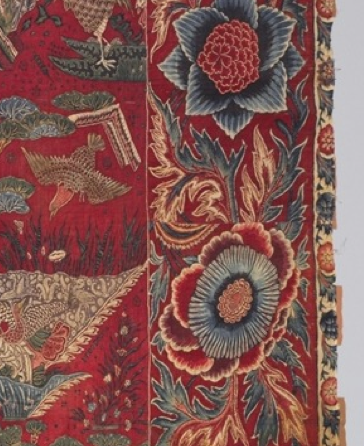 Gardening became a hugely popular pastime for women in the 18th century and the era's legacy is still evident today in the pages of British and American Vogue. The book also might inspire you to get your hands dirty and do a little early fall planting. On a loosely related note, The Art of the Louvre's Tuileries Garden, a major show focused on the 63-acre Paris garden and how it has inspired artists through the centuries, debuts at the High on November 3. 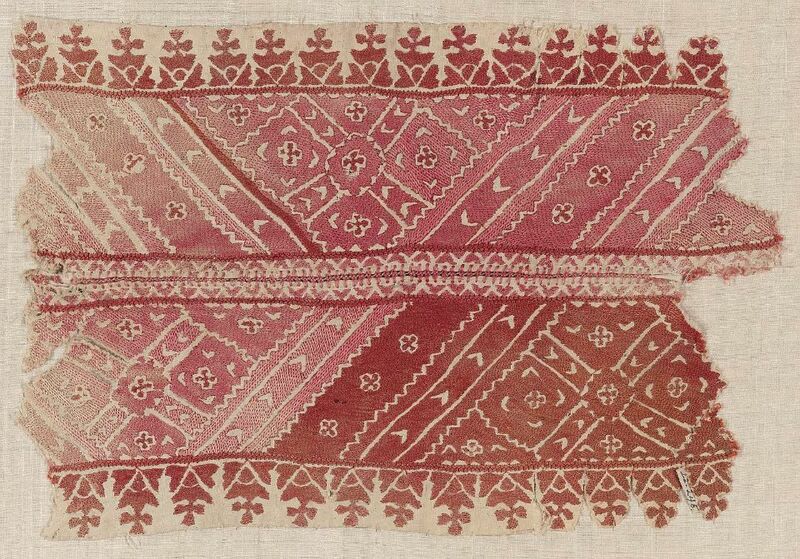 So we learned today that the MFA, Boston has no shortage of interesting pink pieces, but the museum possesses myriad indigo textiles, too. 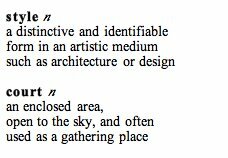 Particularly Japanese and American examples. The one above happens to be a Japanese cotton. 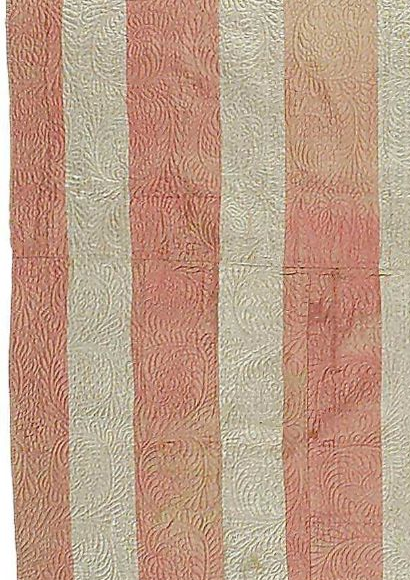 As contemporary as it appears, this plain-weave, stenciled and resist-dyed (katazome) cloth is actually from the late Edo period, meaning 19th century. 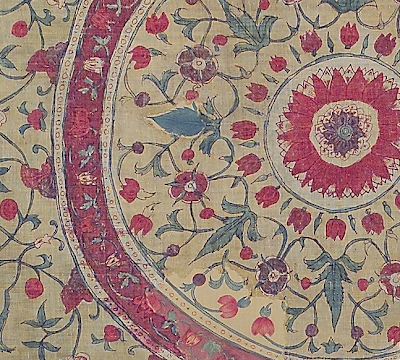 This densely-patterned old Indian chintz, dyed with a red ground to appeal to the Dutch market, is indicative of the kinds of textiles that will be on view in The Met's upcoming show, Interwoven Globe, because it's the product of a tangle of international influences: a bit of the Japanese aesthetic interpreted by Indian master craftsmen to appeal to a European client. 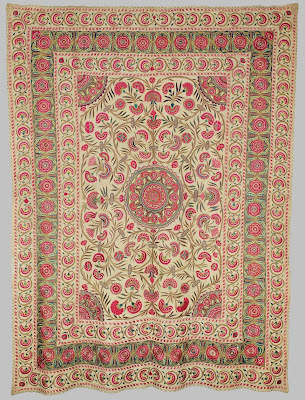 According to The Met, the complex cross-cultural attributes of cloths like this make them challenging to place in only one curatorial department, so they often end up out of public view. But the fall exhibition offers a chance to really explore all of the interconnected relationships behind them. 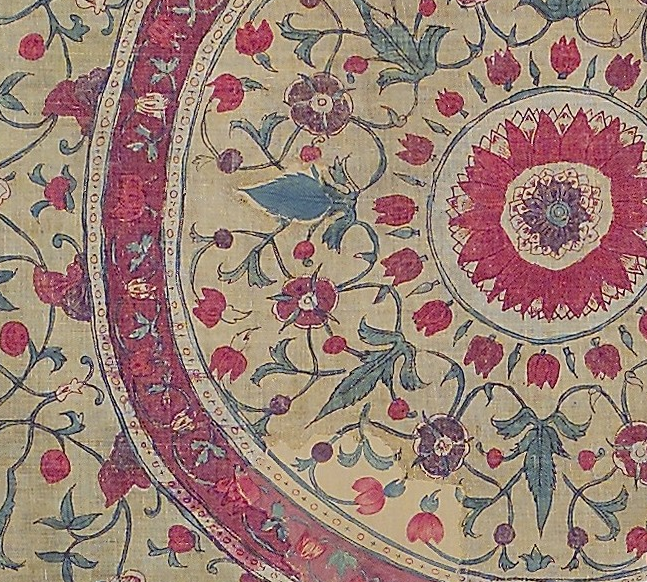 Adding to the complexity, numerous curators from various Met departments -- scholars including John Guy, Curator of the Arts of South and Southeast Asia, and Amelia Peck, Curator of American Decorative Arts -- have collaborated to bring the show to fruition. 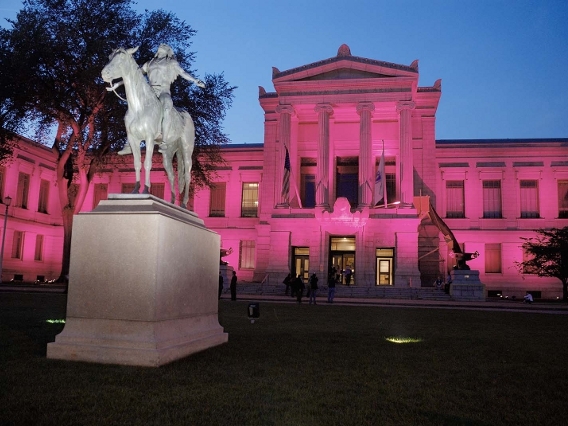 Friday, October 4, 12:15-12:45 p.m.
Friday, October 4, 2:30–3:00 p.m.
Wednesday, October 16, 6:00 p.m.
Tuesday, November 5, 6:00 p.m.
Curators at the MFA, Boston are thinking pink. 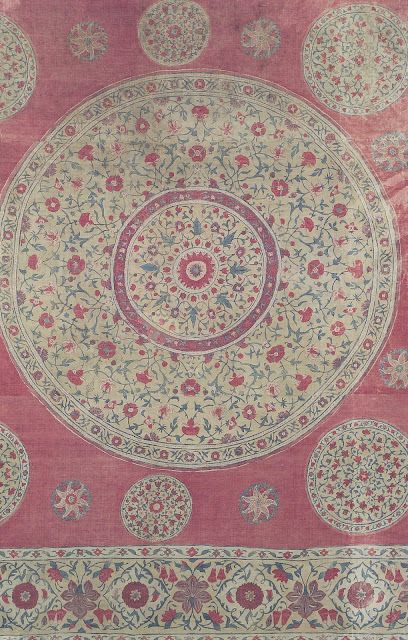 For a special exhibition set to open October 3 and continue through May 26, 2014, pink-hued pieces -- jewelry, graphic illustrations, clothes, paintings -- have been pulled from varied museum departments. 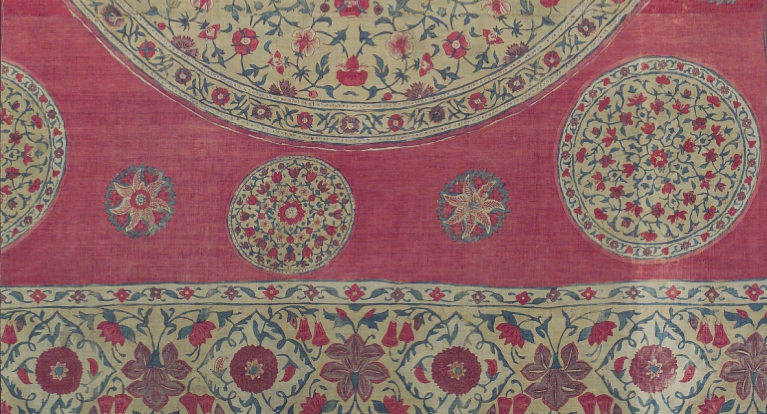 Apart from offering a visual feast, the show will explore the social history of this ever-evolving color. 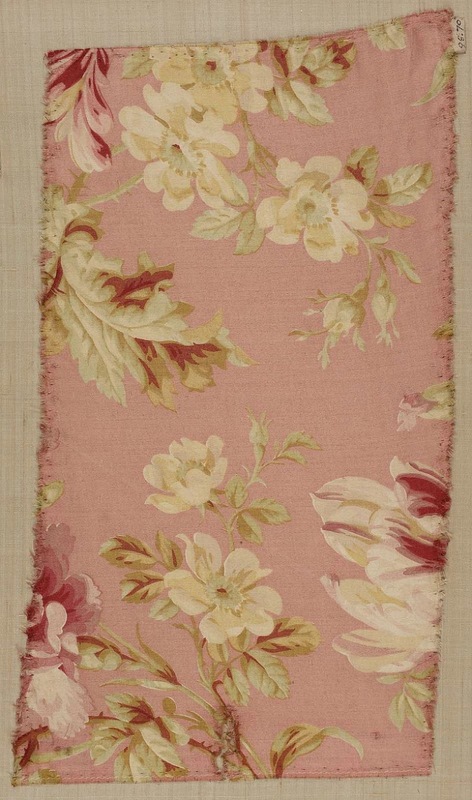 In the meantime, I've gathered some pink (or just partly pink) textiles from the MFA's vast holdings. On Wednesday, October 2, the MFA will literally go pink, not just in the Think Pink galleries but outside too, in honor of Breast Cancer Awareness Month. 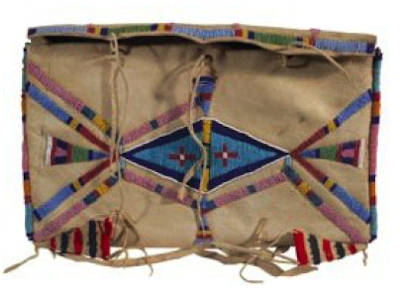 Apparently it wasn't just a Tristan thing: Americans of European descent incorporating Native American designs into their own style during the 1910s and 20s. A soon-to-open exhibition at the Bard Graduate Center, An American Style: Global Sources for New York Textile and Fashion Design, 1915-1928, curated by Ann Marguerite Tartsinis, will look at past efforts to inspire Euro-Americans with the then-so-called "primitive" aesthetic. 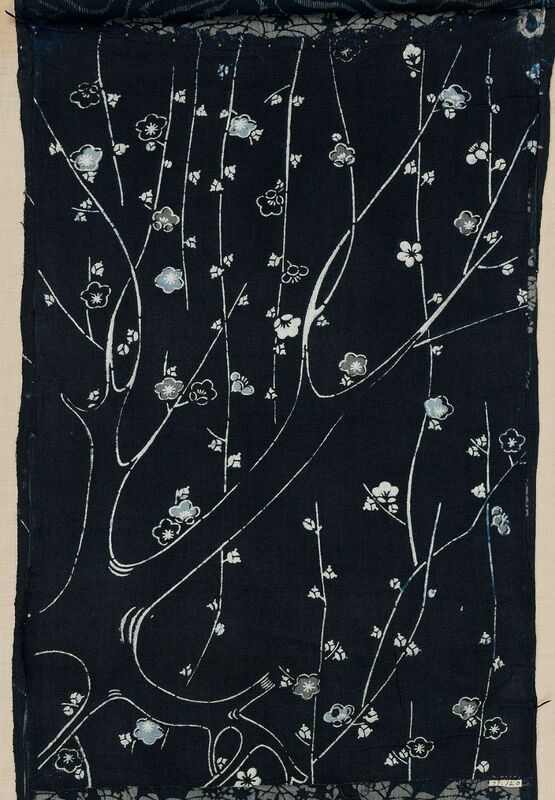 During WWI and the years following the conflict, curators at the American Museum of Natural History, in particular, launched a campaign to introduce designers to its ethnographic collections. 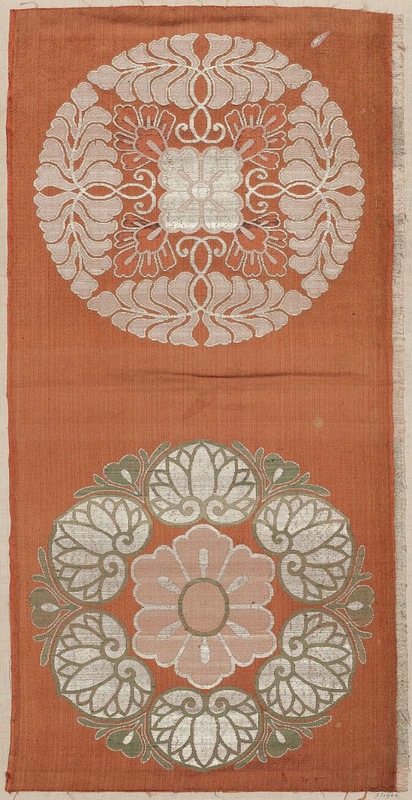 Textile designers and manufacturers were given broad access to the museum’s holdings, including specimen storage rooms, and in some instances artifacts were even loaned to shops and design houses. 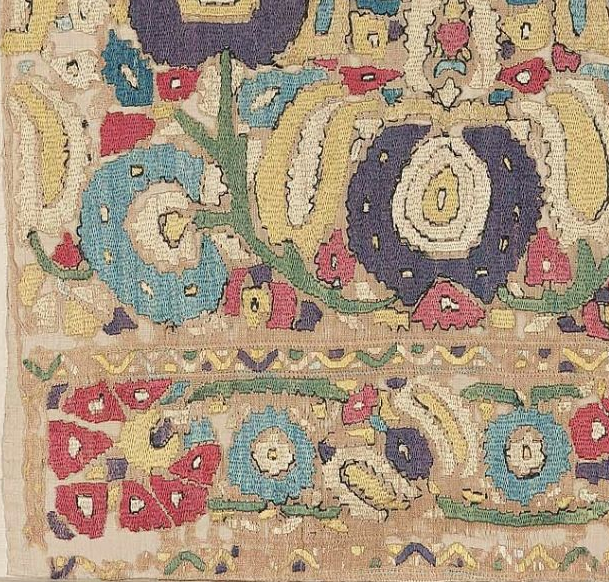 I think many of us are familiar with the African influence on Western design in the Roaring Twenties but perhaps we're less aware of how Andean, Native American, Mesoamerican, and South American sources impacted early 20th century U.S. style. So Bard's new show, offering original artifacts juxtaposed with period fabrics and dress inspired by these indigenous wares, should be an eye-opener. 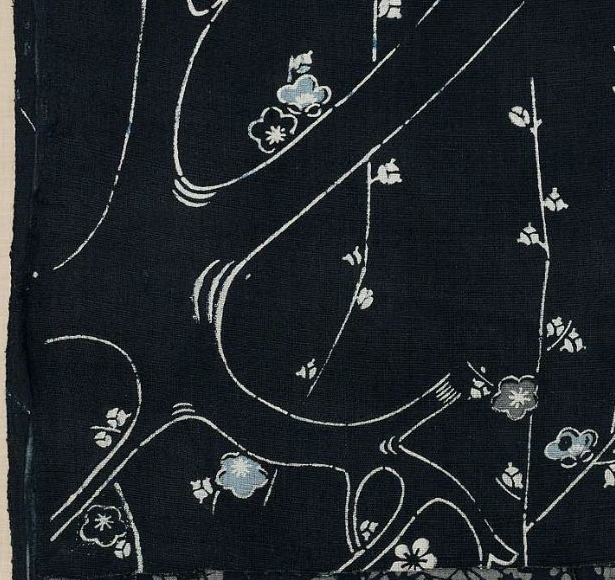 The exhibition opens September 27, 2013 and continues through February 2, 2014. 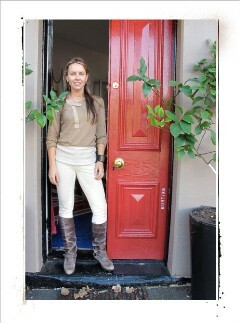 An illustrated catalogue will also be available. 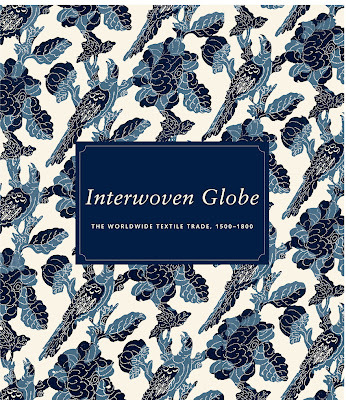 Just a quick follow up on this morning's post: the hardcover 360-page exhibition catalogue accompanying Interwoven Globe: The Worldwide Textile Trade, 1500–1800, scheduled to open at The Met September 16 and remain on view through January 5, 2014, is now available for pre-order in the Museum's shop. 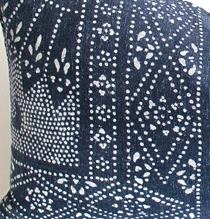 Check out the gorgeous blue-and-white design that landed the cover. 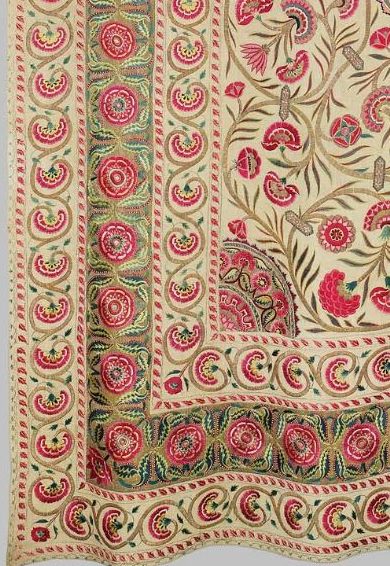 Inside, expect to find 360 color illustrations and detailed coverage of 120 pieces encompassing vibrantly printed Indian cottons and luxe Asian silks, along with studies of natural dyes. 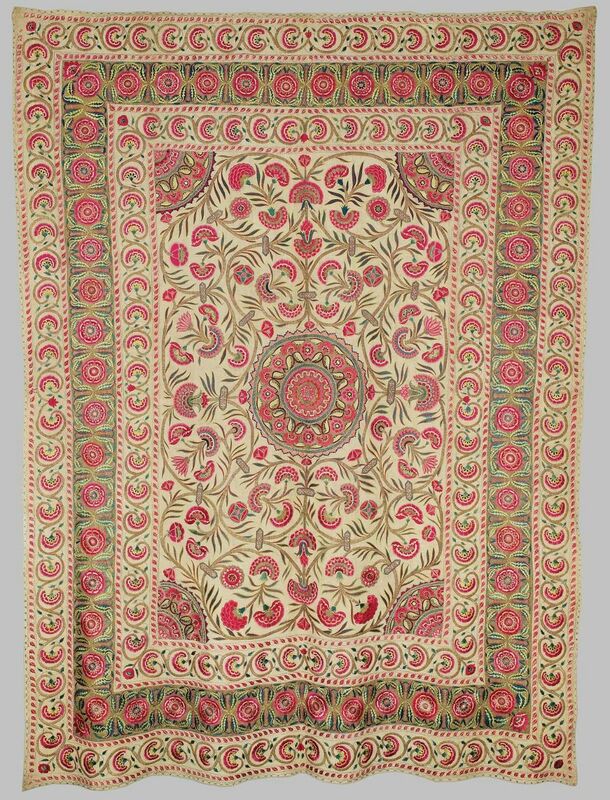 Dominated by a series of big flower-filled circles, the design of this kalamkari-decorated cotton panel created in Burhanpur in the northern Deccan is unlike the Tree of Life palampores still coveted in the States and the UK. 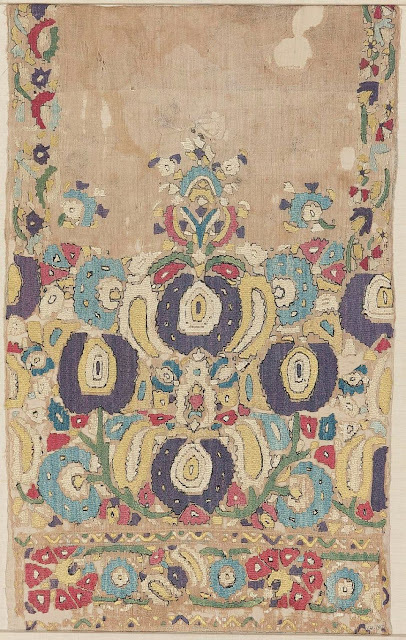 The Met says the mordant-painted and resist-dyed cloth was most likely made to suit Ottoman taste in 18th-century Bulgaria, rather than the European or Southeast Asian markets. 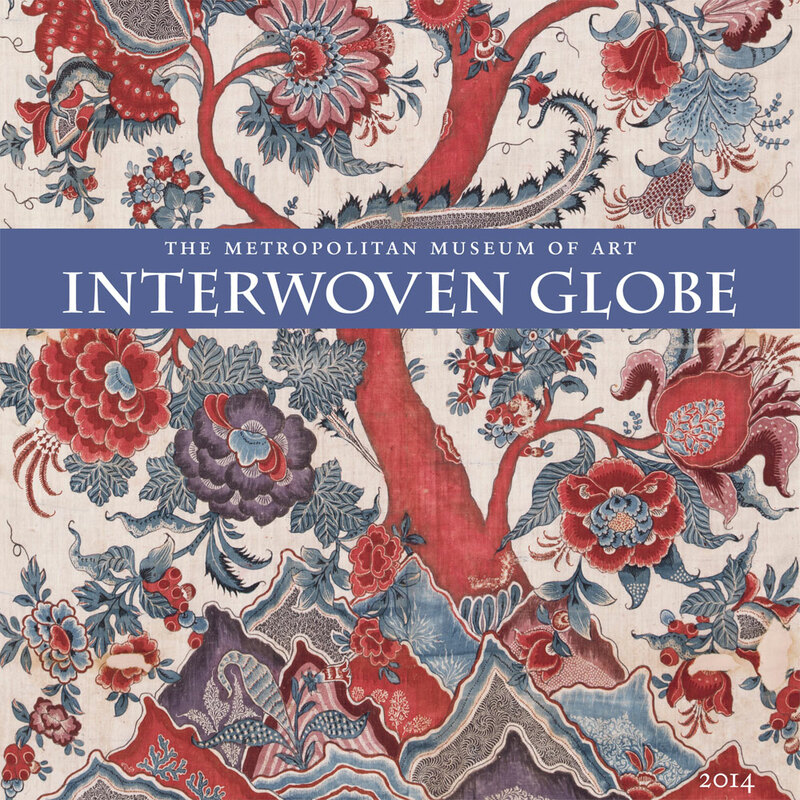 One of those wild, large-scale flowering trees in reds, plums and teals, designed around 1730 for the Sri Lankan market, happens to have made the cover of the first Interwoven Globe exhibition-related product available in the Museum's online shop. An exhibition catalogue will be published too. 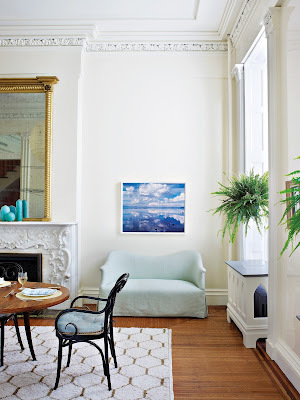 He can be very reserved, using only the loopiness of a Thonet-style chair as a softer decorative gesture in an otherwise clean, pared-down room. "It has joyous buoyancy," Mimi Read quotes Tom Scheerer discussing his affinity for late-19th-century bentwood, "I never get tired of it. Bentwood is a lyric note you can pull out of your pocket when you need it, and it contrasts beautifully with all the hard edges that seem to be everywhere." But Scheerer can also channel the not-so-restrained mix-master Renzo Mongiardino. 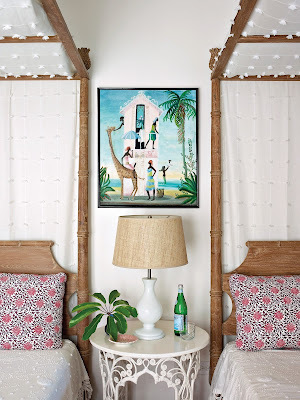 When I first saw this entry with stenciled silk grasscloth walls, I thought of the patterned-swathed walls Mongiardino did for Lee Radziwell in the 1960s. Indeed, according to the new tome on his work, Scheerer was inspired here by the late Italian designer. Of course, Scheerer's lighter hand is evident even in a layered room. 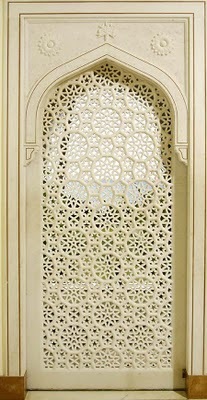 He had RISD grad Brian Leaver stencil the crisply stylized Mughal flowers. 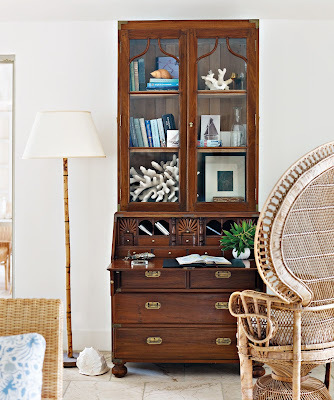 More Indian pattern was added with scarves transformed into pleated shades, and the chair was covered with a custom repro of old Anglo-esque crewelwork. 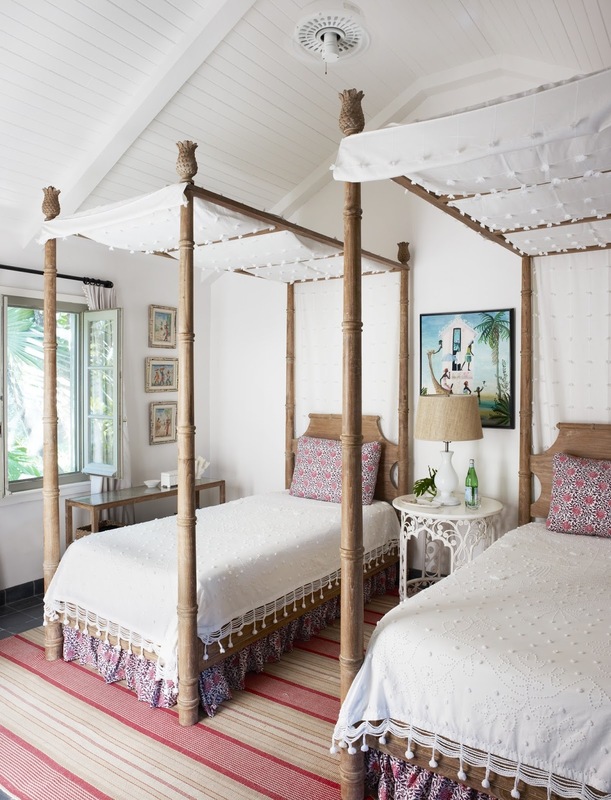 With Scheerer's touch, a bedroom with candlewick-covered twin beds and a bit of scroll-y granny-chic Victorian-style wicker becomes breezy, youthful and fun. And in Harbour Island, more Nouveau loops coexist with more bordered Indian prints, all infused with healthy doses of clear white to keep the look modern. To repeat the analogy in the previous post, Scheerer's rooms are like classic understated East Coast American sportswear accessorized with a riotous Indian cotton paisley bag and woven huaraches. 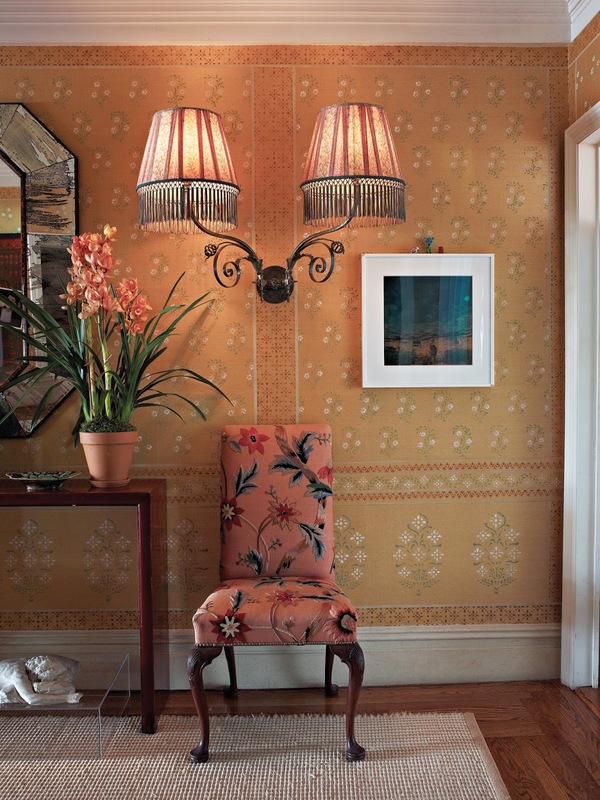 Non-obsessed people can probably appreciate the vignette above as an inviting, chic corner in a living room distinguished by an especially pretty paisley print and something really interesting happening at the window. Design junkies might wonder if Scheerer was inspired by Doris Duke's Shangri La. The enveloping upholstered banquettes and pierced wooden jalis are examples drawn from Duke's modernist Honolulu house. Also, this Scheerer project in Florida happens to have a table bought at auction from Duke's estate (not pictured in this post). Again, though, whether he's subtly referencing Duke or a page from Billy Baldwin's playbook, Scheerer keeps everything dressed down. 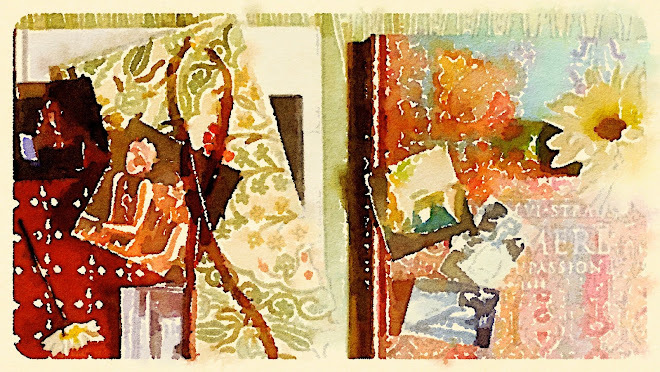 One of the benefits of compiling his body of work in a single, stunningly illustrated book is the chance to see how frequently he uses unfussy natural materials. In keeping with Scheerer's personal style, the book is unpretentious, straightforward, contains a smattering of his pet peeves and exhibits just a touch of dry humor. 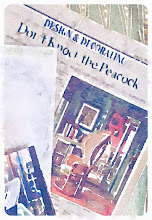 The reader learns about his background (which so clearly informs his aesthetic) and then is skillfully led by Read through a broad range of projects from Maine to Paris, with frequent stops down in the islands too. It's certainly not about explicit tips, but ironically I think the new book could be more useful than some conventional decorating how-tos, at least to the studious observer. Why? 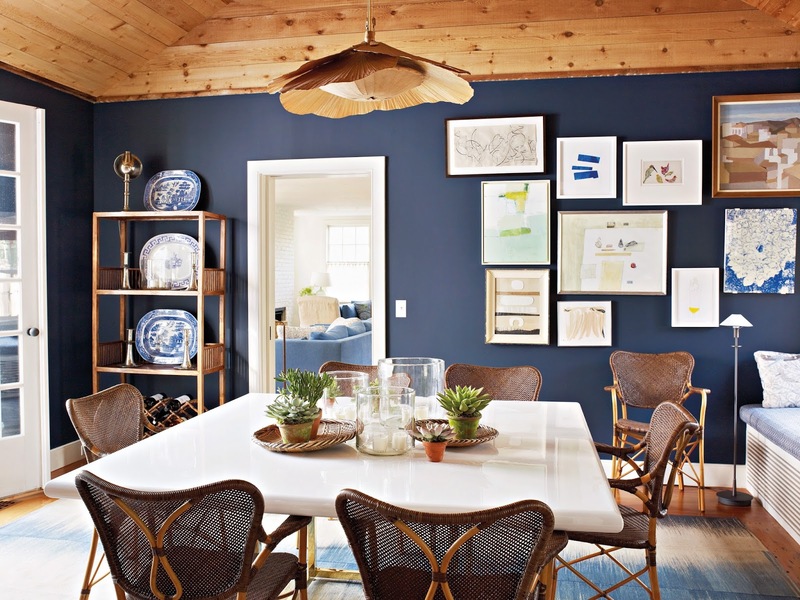 Because Scheerer favors iconic furniture forms typically available at different price points, he is not opposed to Ikea or West Elm, and he combines colors like an artist. You've heard the adage that one must first learn the rules in order to break them? 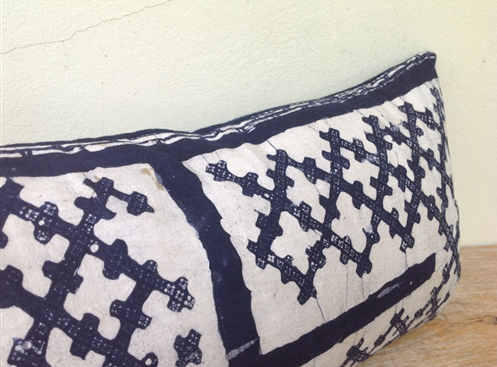 To me, that's Scheerer. It's interesting. 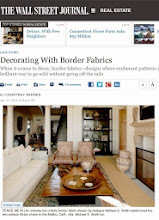 Other designers' names may initially spring to mind when you think of the past decade's most buzzed about talents but scroll through Pinterest or get lost in the blogosphere and you'll likely find Scheerer's interiors a constant presence, respected by other pros with widely varied aesthetics of their own. 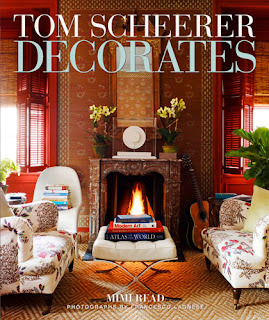 Tom Scheerer Decorates is scheduled to hit book stores September 10. 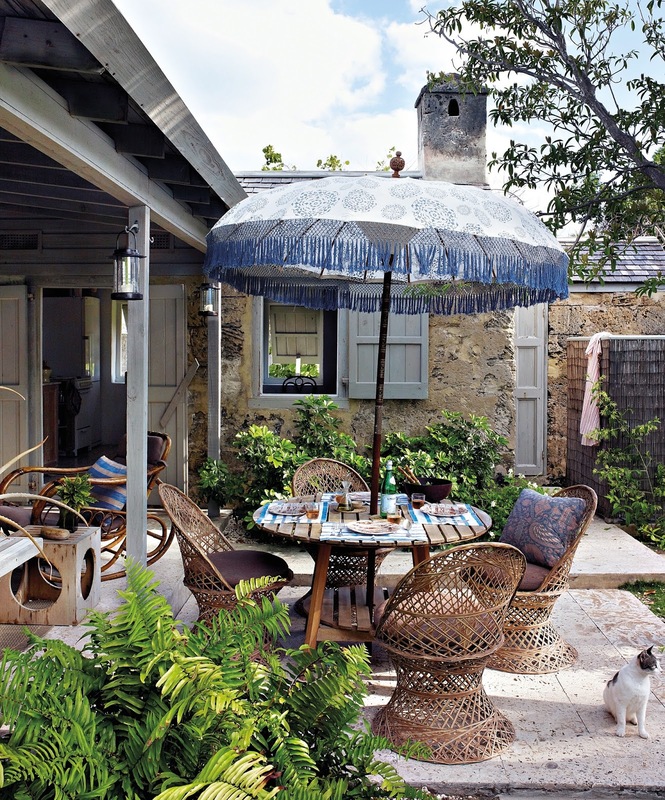 Not shown in this post, because I referenced it here, but prominently featured in the book is Scheerer's supremely undecorated Bahamian salt box house. [Photo by Francesco Lagnese from Tom Scheerer Decorates ©Vendome Press 2013. Tom Scheerer doesn't juxtapose disparate pieces just for the sake of being unexpected; in fact, he's quite comfortable with old school decorating. 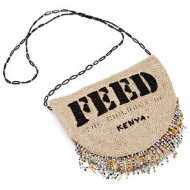 But like a crisp, perfectly tailored little white linen dress off-handedly paired with a casual, intricately woven straw bag picked up in some faraway souk, Scheerer's rooms are refreshing and effortlessly cool. In the next few days we'll explore his range as seen in the soon-to-be-released book from Vendome. 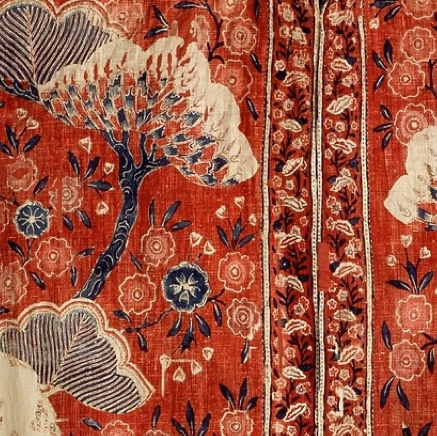 On view for less than two more months is Out of Southeast Asia, the last exhibition to be organized at The Textile Museum before the institution relocates to its new 46,000-square-foot facility on the George Washington University campus. 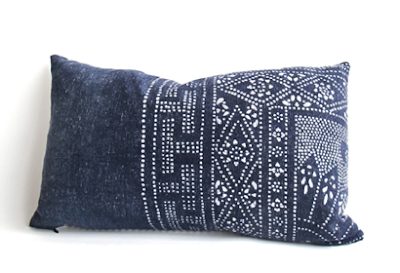 I thought of the show when I came across the latest offerings from Roni over at The Loaded Trunk: vintage Hill tribe resist-dyed natural indigo denim pillows. 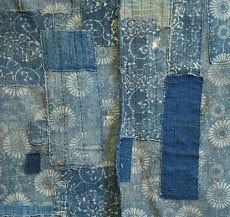 To me, the deep, softly-worn blues also suggest fabrics of the wild American frontier, giving these pieces a real East-Meets-West feel. 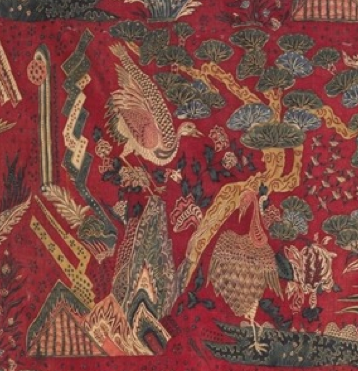 Out of Southeast Asia closes October 13. 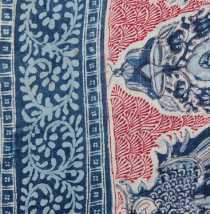 For details on the wrap-up event, From Village and Court to Global Commodity: Southeast Asian Textiles, which will include speakers ranging from Dr. Ruth Barnes of Yale University Art Galley to Tim Johnson of Jim Thompson, click here. 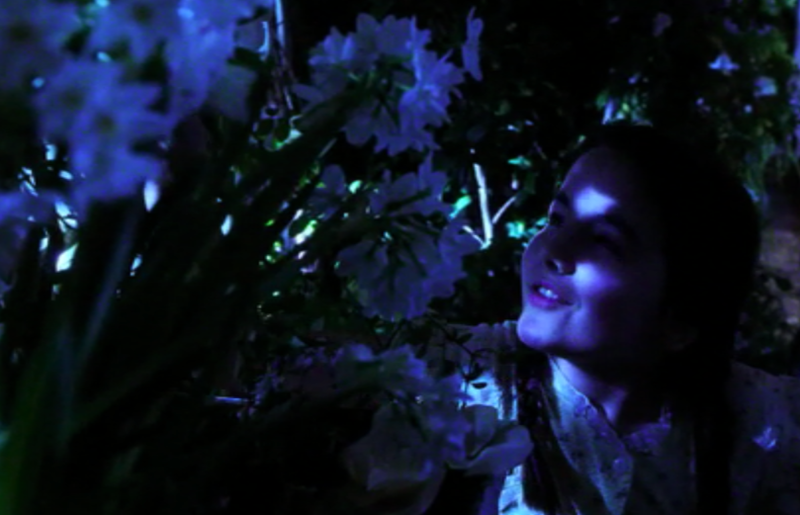 When the credits roll at the end of Valmont, Christian Tortu is given a nod for his floral contributions to the 1989 film, and we know that director Sofia Coppola tapped fleuriste Thierry Boutemy for 2006's Marie Antoinette. 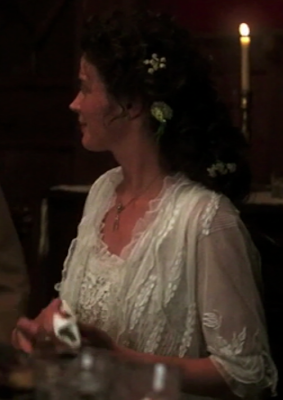 But specifics on floral designs in movies aren't usually widely known to those of us outside the industry. 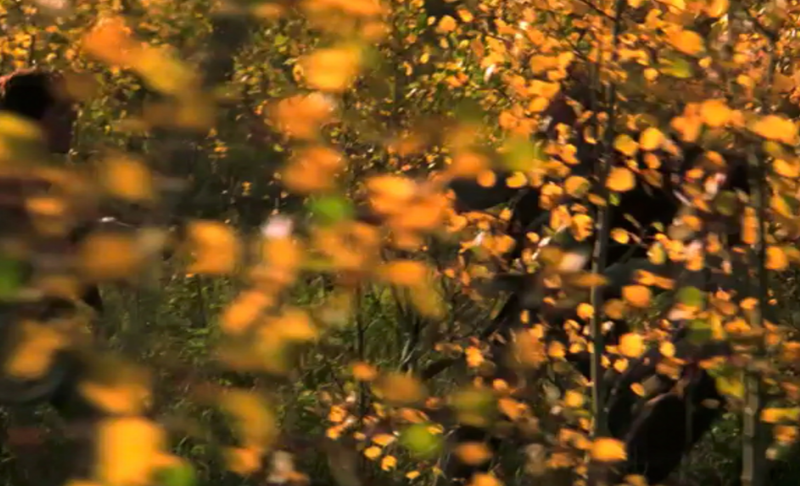 Whoever pulls them together, flowers contribute immensely to the feel of a picture. In Out of Africa, loose, natural arrangements of fresh cut blossoms, big and small, fill nearly every frame (not surprising given protagonist Karen Blixen's real life passion for flowers). 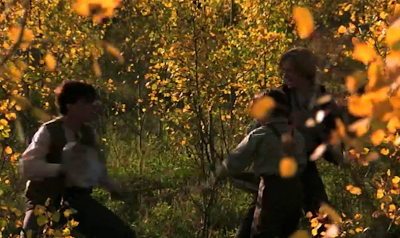 And while flowers, grasses and trees growing in the ground outside are the main focus in 1994's Legends of the Fall, cut flowers are still part of some memorable scenes, helping to transport viewers to pre-World-War I- and 1920s-era Montana. According to Samuel (Henry Thomas), the flowers in Susannah's (Julia Ormond's) hair are Angelica taken from the small arrangement in the bedroom. 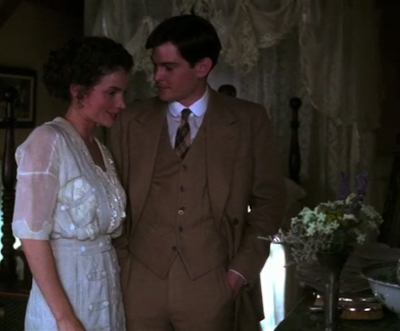 The vase in that scene, pictured at top, appears a bit Art Nouveau-ish or possibly Arts and Crafts. Floating around in Google images is what looks to be the only heavily styled bouquet in the movie, apparently from a deleted scene: Susannah's cascading wedding bouquet, about the size of rose shrub. The more girl-power-focused movie, Practical Magic, previously covered here, is dominated by flowers. 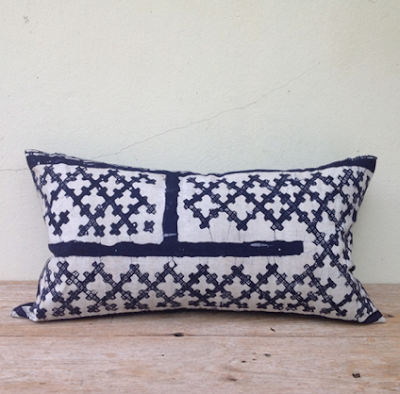 Not just in the spectacular old greenhouse off the late-Victorian kitchen, but also on countertops and tabletops. Armfuls of lush white roses add to an idyllic breakfast scene complete with hanging Chinese lanterns, freshly flipped pancakes and long 1990s bias-cut skirts. 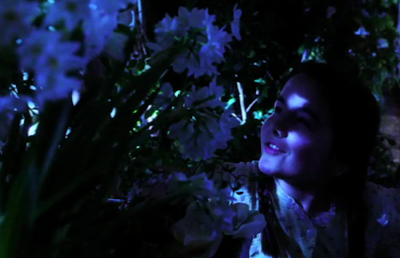 Want to suggest any other flicks worth watching for the flowers alone? I'm compiling a list of recommended fall viewing. Just email if you prefer not to leave a comment.